Join the world of Disney and meet you favorite Mickey Mouse, as Mickey Turns 90 Years old! Disney India will be conducting an interesting event for children and grown-ups alike . Disney India would hold these grand celebrations at the DLF Mall of India. Registrations of the event would happen directly at the venue!! DLF Mall of India will be hosting a Black Friday sale across all brands. The Mall would be offering upto 50% discount on over 100 National as well as international Brands. The sale is valid only through the 23rd of November, Friday, on Guru Purab Day.The Sale with start with the opening of the stores at 11 AM and continue till 11 PM. Key brands include Sephora, AMPM, Anita Dongre, Miniso, Le Creuset, Charles & Keith, Bath &amp; Body works, Aldo, Da Milano amongst others.There will also be buy one get one deals at food court (BOGO offers). Popular food Chains like Kylin, Imly, Wow momos, Vaango and Tikka town will be participating and welcoming foodies from the entire city. Harper and Collins would be offering a massive Mega Book Sale . All your favorite books will be available at the DLF Mall of India Store , bringing your hunt for your favorite books on an end. The books will be available at slashed prices and an overall discount after 9 PM. The store will be hosting multiple fun activities like having the audience meet authors, getting signed copies from their favorite authors, and freebies on special editions. Meet the bollywood sensation Akhil Sachdeva LIVE at the DLF Mall of India. He would be performing sufi rock with his band “Nasha”. Listen to him as he recreates his magic, like he did in the sing “Hamsafar” in “Badrinath ki Dulhania”. The event begins at 7 PM on the 23rd of November, 2018. 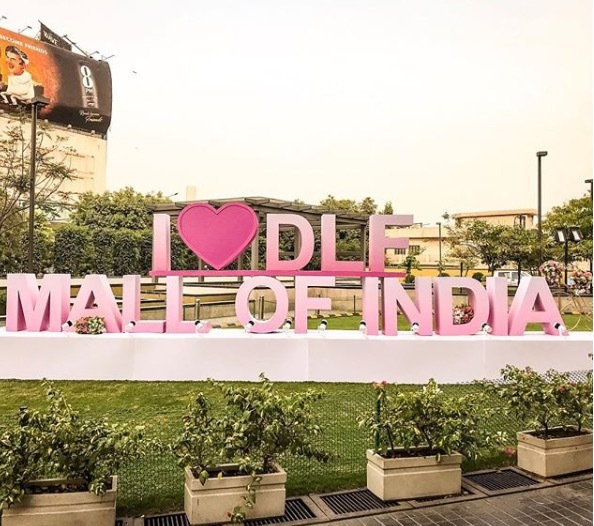 The DLF Mall of India is India’s Largest and the Most Loved Malls. It has something to offer to people of every age group. Even if you cannot make it to any of these specific events, you would never run out of options. DLF Mall is home to the biggest brands and the most enticing eateries in the country and has something to offer for young ones and old alike! Spend time shopping clothing and accessories, or spend time going in to a different world with Ski India, eat with family or simply toll around the mall!! You can always have a great family time at the DLF Mall of India. Do visit DLF Mall of India and let me know what you liked doing the most!! Do SHARE this article ahead and spread the word about these fun things to do this weekend at NOIDA. This look like weekend is all set with so many great activities to indulge in mall…I am sure looking forward to this ! !